If you are fortunate enough to visit exotic islands for work or vacation, what’s on tap (hopefully) for the thirsty beer appreciator? Well, some light lagers- that’s what! From Jamaica’s Red Stripe to lesser know light quaffable brews like Aruba’s Belashi and in the far South Pacific – Tahiti’s Hinano. With no real historic beer cultures to work with, like many other non-indigenous brewing nations (Mexico, India, China to name a few) European ex-pats brought their lager styles with them and over time the lighter the better. 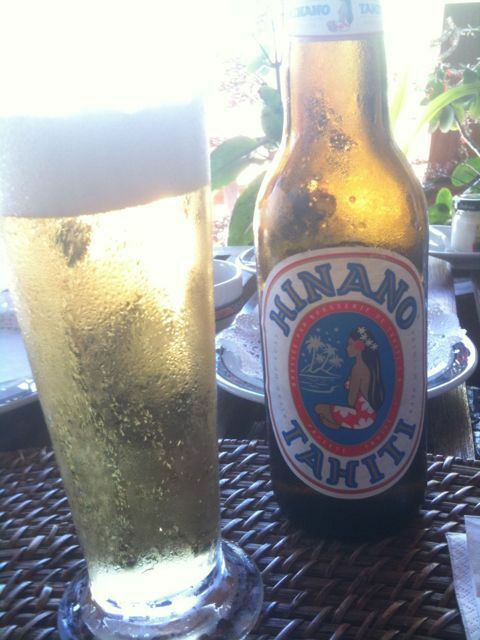 Hinano is all over French Polynesia – Tahiti, Moorena, Bora-Bora, it started brewing in 1955. It’s very light tasting and pleasant – easy to throw down, and at a respectable 5% abv, will keep you lying happily poolside.